Apple may have the limelight thanks to WWDC, and Google’s I/O conference is just around the corner, but that hasn’t stopped Amazon from trying to muscle in with the big boys. Having seen rumors of a smartphone coming out of Amazon for what feels like forever, we were less than surprised when the retailer started hinting at a new product announcement for June 18th. That product? A smartphone. The main landing page currently simply shows an invitation to the event from Amazon’s Jeff Bezos along with a somewhat strange video that shows people testing some sort of device. That device is expected to be the company’s oft-rumored smartphone, and the video’s 41-second mark appears to show just that as a phone-like device peaks out at the bottom of the screen. 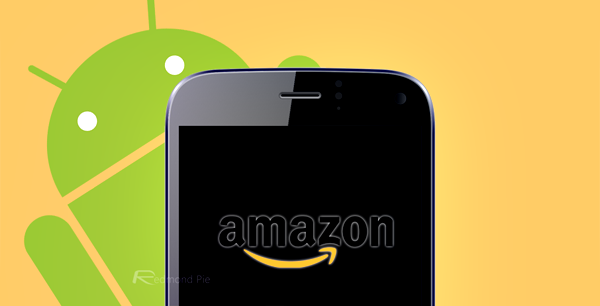 There’s very little known about the Amazon smartphone at the moment, and what we do know, we’re not 100% sure of. The only information we have comes via a BGR who happened upon what they thought was an Amazon prototype for a smartphone. If that is indeed what we’re going to see announced on the 18th, then things could be interesting. The reason for that is the five cameras that this thing is believed too have on its face. Designed to track facial movement, those cameras are believed to be there so that the phone will know what we’re doing as we’re using it. It’s unclear what that will be used for, or why it will take so many cameras to achieve, but that’s all we have right now. Oh, and it’s supposed to have a 4.7-inch screen, too. Internally, the Amazon smartphone is said to pack a Qualcomm Snapdragon CPU and 2GB of RAM, but beyond that we’re just guessing. So make some specs up yourself if you want to keep yourself entertained till the real unveiling happens. With June 18th a couple of weeks away, we wouldn’t be surprised if more information cropped up here and there. Amazon has had mixed success with its own technology products over the years, so we wait with baited breath to see how it fares when selling smartphones. Of course, its success will very much depend on how good it is, and we’ll find that out on the 18th.